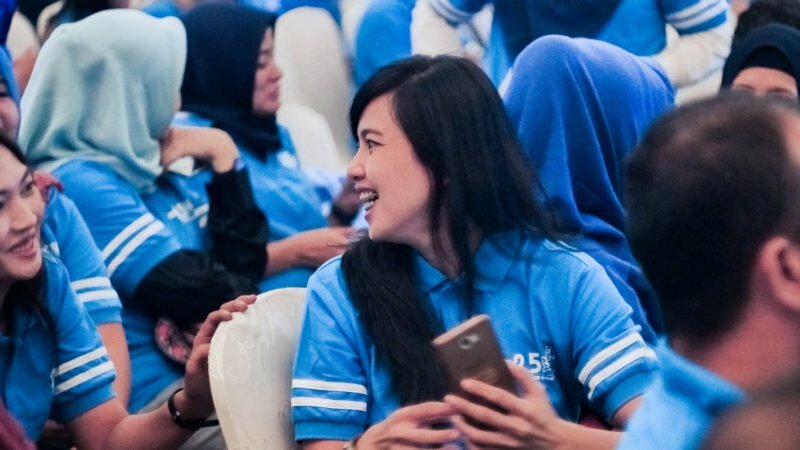 700+ Mitra Mata came together in late October to celebrate and share best practice at the very first Mitra Mata Convention in Medan, Indonesia. To improve the quality of primary vision care in the country and strengthen the rural eye care industry, Essilor’s inclusive business 2.5 New Vision Generation (2.5 NVG), created the Mitra Mata programme. The programme aims to raise awareness about the importance of eye care, provide access to affordable quality vision care and offer the opportunity for existing primary eye care providers to further professionalize their services. 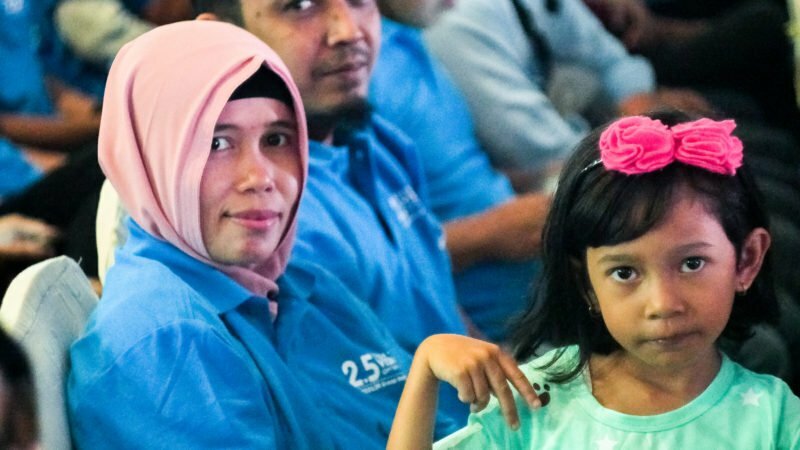 More than 30,000 basic vision care providers serve people residing in remote areas of Indonesia. But their training is often unregulated and informal. The Mitra Mata programme aims to upskill these self-trained vision care providers by registering them as Mitra Mata (Friend of the Eye in Bahasa Indonesia), and subsequently offering them the opportunity for further professional development through the Mitra Mata Optician programme. The first Mitra Mata convention took place in late October in Medan, Indonesia, with over 700 Mitra Mata coming together. Essilor Chairman and CEO, Hubert Sagnieres, and Essilor Chief Mission Officer, Jayanth Bhuvaraghan, officially opened the convention by banging a gong to welcome everyone. Individual Mitra Mata shared their inspiring stories and 2.5 NVG representatives from China and India provided useful information and insights on their local programmes such as Vision Amabassador and Eye Mitra. The audience also enjoyed a sharing session from the Base of Pyramid (BoP) Innovation Lab, learning about new mobile and digital technologies which will enable Mitra Mata to further grow their business. 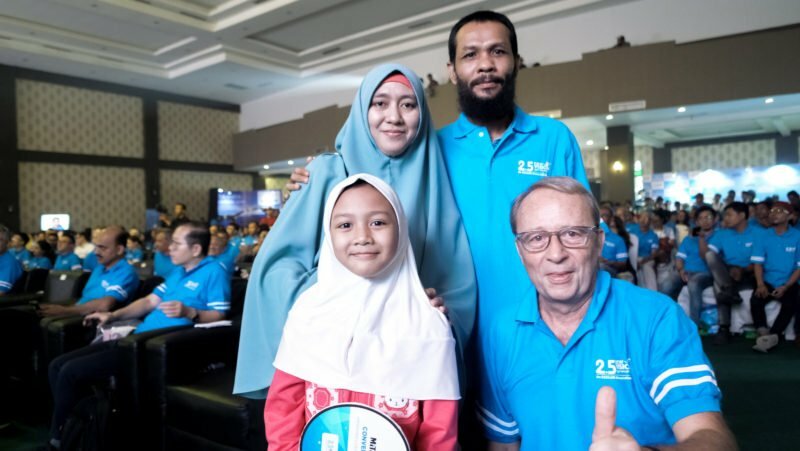 One of the highlights of the convention was an award ceremony to celebrate outstanding performers, with the prize of a motorcycle for the Best National Mitra Mata presented to Wira, from Medan. Guests were also entertained by stunning local folk dances and musical performers which saw the +700 Mitra Mata and other guests dancing in the aisles and on the stage – a fitting end to a fantastic celebratory day. By professionalizing the existing infrastructure, we will create a taskforce of skilled micro-entrepreneurs that will help us to eradicate poor vision in Indonesia within the next 30 years. With existing knowledge of basic refraction and on-the-job experience, candidates undergo a refresher course in refraction, and acquire some basic skills in business management and referral training to become a Mitra Mata. 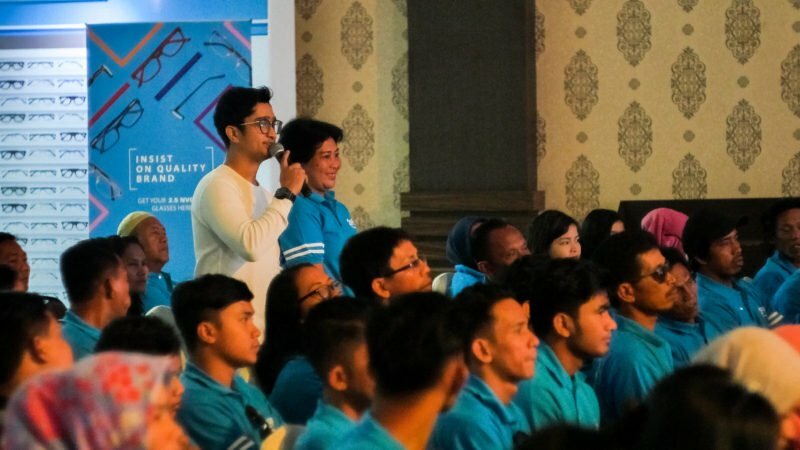 Mitra Mata students can further qualify as a certified Mitra Mata Optician after successfully completing a part time three-year course at the national Refraction Opticians Academy, allowing them to set up their own optical shop and boost the mainstream eye care industry in Indonesia. Uncorrected poor vision – the world’s most widespread unaddressed disability – affects 60 million Indonesians. 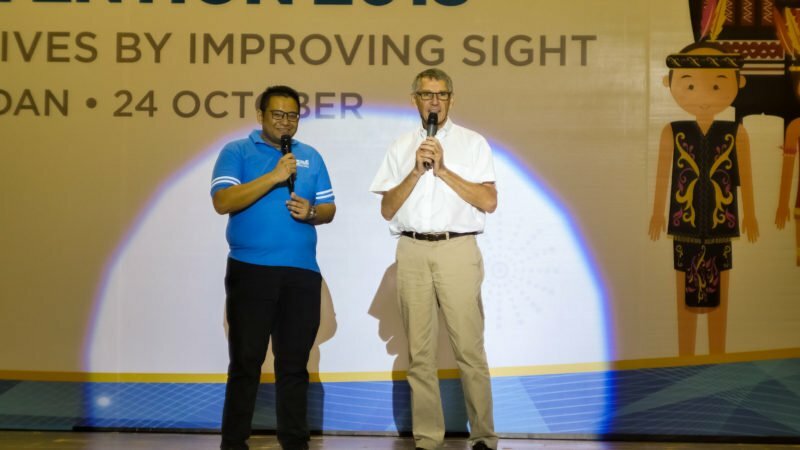 In line with Essilor Group’s mission of improving lives by improving sight, the Mitra Mata programme in Indonesia will help to eradicate poor vision by raising awareness on the issue and provide access to quality affordable vision care. The Mitra Mata programme was launched in 2017. By the end of 2018 there will be 1,200 Mitra Mata providing quality affordable vision care in Indonesia.